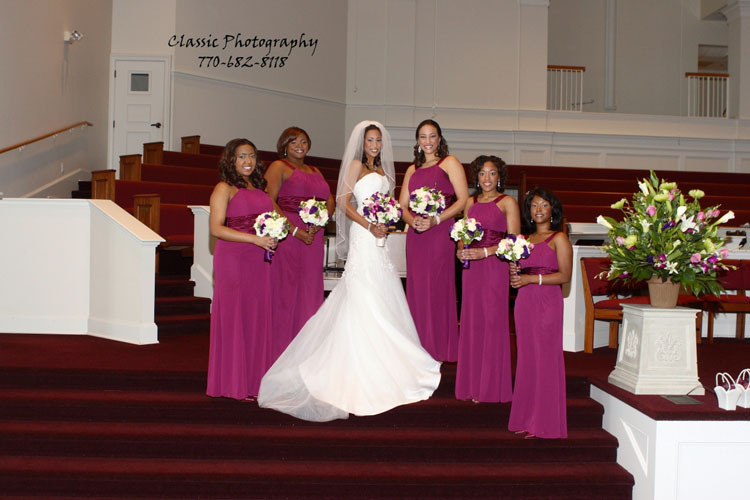 Your bridesmaids are more than important for you as a bride – after all, these are your best friends and the people you have chosen to walk down the aisle with you. Naturally, you want them to look stunning in their attires – but how do you choose the most amazing dresses for these amazing ladies? We have gathered some of the most popular bridesmaids’ dresses trends of the season – so read on if you need a bit of inspiration. Cotton lace. We all love lace – and we have a thousand and one reasons to do so. The femininity, the grace, the timelessness, the mysteriousness – they can all be associated with lace. 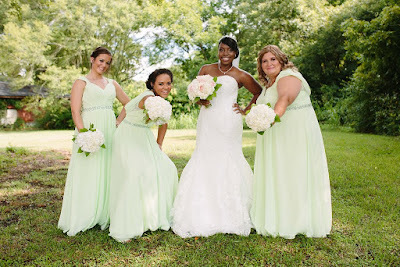 Of course, your bridesmaids will love lace dresses for your big day – but if you want to add a bit of that down-to-earth, casual and comfortable vibe to their attire, you can always settle on cotton lace. It’s really trendy right now! Capped sleeves. With their princess-like cutesy and their beauty, capped sleeves have made their way into the bridesmaids’ dress trends of 2017. If you love them too, you will definitely want to have them incorporated into your special ladies’ attire. Tiered skirts. Looking for an ultra-feminine detail for your bridesmaids’ dresses? Tiered skirts are very popular with designers this year – and they do look more than lovely. Printed or in plain colors, tiered skirts make dresses look girly, sweet, and definitely elegant too. What’s not to love about them? Looking for a wedding planner able to help you pull together all of the minute details that go into wedding planning? Come visit B.A. Bride Wedding and Event Planning right now – contact us and let’s talk about your dreams and your wedding. 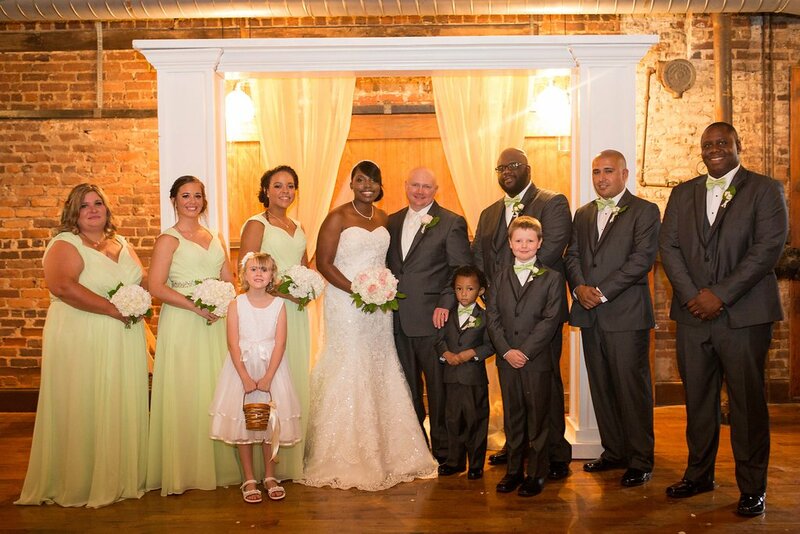 We promise to make your big day feel absolutely unforgettable, from A to Z! There’s nothing quite like color to bring out a message and tell a love story – and this is precisely why it is so important for you to choose a splendid color scheme for your big day. What are the mistakes to avoid when doing this? We have gathered some tips of advice – so read on and find out more. Too much of…everything. Too many colors, too many bright colors, too many flowers trying to perfectly match with the color scheme – anything that’s just too much should be left behind. You want your wedding to look elegant, stylish and well-balanced – so avoid falling into any kind of extremes. Sticking to seasonal color “rules”. Your guests have seen the yellow and orange fall wedding color scheme a hundred times before – give them something exciting and unique to awe them! Step outside of the “box” and think of color combinations that look good, even if they “defy” the so-called seasonal rules. Incorporating trendy colors…just because they are trendy. Don’t get us wrong: trends are an amazing source of inspiration. However, you shouldn’t incorporate anything trendy just because it’s the popular thing at the moment. You want to love your wedding pictures decades from now – so it’s probably better to stick to timeless combinations that please the eye and go beyond fashion. Not bringing pictures to your vendor meetings. Your florist, your wedding planner, your cake chef – they all need images to know what you mean – because what’s bleu ciel for you may not be quite the same for them. Bring pictures and ideas and they will help you create your dream wedding! Looking for a wedding planner who knows how to communicate with you – and, most importantly, knows how to pull off a perfect big day? Come visit B.A. Bride Wedding and Event Planning and you will not regret your choice! You love your groom and you want him to be happy on your wedding day – just as you want yourself to be happy as well. Of course, your wedding rings are more than just pieces of jewelry, but we bet both of you want to wear beautiful rings to symbolize your commitment to each other. How to choose a gorgeous ring for your groom? Read on and find out more. In general, platinum and white gold are considered to be very popular options. The good news is that nowadays grooms don’t have to stick to very basic designs – there are plenty of them to suit just about any style there is. From white gold blended with yellow gold and even wedding rings with gemstones incorporated in them, there’s something for every groom in the world. If you are looking to make a sound financial investment, we would suggest 14k gold. This will provide you with a very good price-to-value ratio no matter what type of gold you want to settle on (be it yellow, white, or even rose). Last, but not least, remember there are many other options aside from gold as well – and they are absolutely gorgeous. Chrome and stainless steel are very budget-friendly and look great, but if you want something with a very manly and unique appeal, try to find a titanium (specifically tungsten) wedding ring for your guy. He will love it! Looking for a wedding planner to take on the organizational challenges of your Big Day? Come visit B.A. Bride Wedding and Event Planning – we have gathered a lot of experience in planning marvelous, unforgettable weddings and we can definitely promise yours will be just as amazing. Just give us a call and let’s talk about your dream wedding! As wedding planners, we know how difficult putting together a wedding can be – but we also know there are a ton of mistakes that can be simply avoided to begin with. What are some of the worst wedding mistakes brides make – and why not make them as well? We have some tips for you – continue reading to find out more. Don’t buy your dress online. Of course it’s tempting to believe there’s a gorgeous wedding gown to be shipped from China at the modest price of $50 – but chances are it’s going to be nothing like the photos you were presented with. Even if you do buy from a reputable site, you might want to measure yourself first and ensure you have a seamstress to help you adjust the dress to your particular body. Don’t skimp on the makeup artist. We know you are amazing at doing your makeup – but the truth is that you will be really nervous on the morning of your wedding day. Avoid making makeup mistakes by hiring someone to do it for you. Don’t buy the accessories before the dress. You can only know for sure what dress you will wear once you actually purchase it – and buying the accessories before it may prove to be a waste of time and money. Don’t go all DIY. It’s not cheap, it’s really time-consuming, and it can become a huge source of stress. It is a great idea to sprinkle your wedding with one or two objects or elements created by you – but doing everything yourself will only turn you into an anxious mess. Looking for an experienced wedding planner to take over the most stringent and urgent wedding planning tasks? Contact B.A. Bride Wedding and Event Planning right now and let’s talk about your dream wedding. 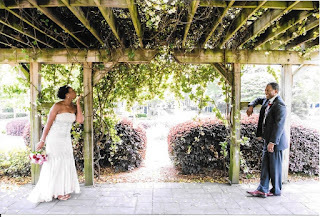 Our experience, passion, and love for weddings will make it happen!